2009 saw its share of job loss and corporate meltdowns. Individuals with impressive educational backgrounds and skill sets found it nearly impossible to find steady work. The failure of the automobile, housing, and banking industries devastated the very sanctity of families around the world. Those individuals fortunate enough to hang onto the jobs that they held feared the worst. One unforeseen emergency during troubled times was all it took for a family to lose their home, their vehicles, and their savings. 2010 faces its own unique set of challenges. With an estimated 14.9 million people unemployed as of February, the creation of new jobs is on the top of the agenda at the nation’s Capitol. Unemployed men and women looking for ways to get the word out about their current work status found glimmers of hope by reaching out to others through LinkedIn. With over 60 million users in 200 countries, the chance of making personal and professional contacts through the social networking site is inevitable. LinkedIn blogger Matt Warburton reported that as of August of last year, 40% of Fortune 100 companies use the company’s corporate recruiting solutions. A free webcast teaching employers how to Recruit Top Talent by Powerfully Leveraging LinkedIn is taking place on Tuesday, April 20th at 10 am Pacific Standard Time. Tarra Gundersgaard, Account Executive of LinkedIn, will be speaking at the event which is scheduled to last one hour. 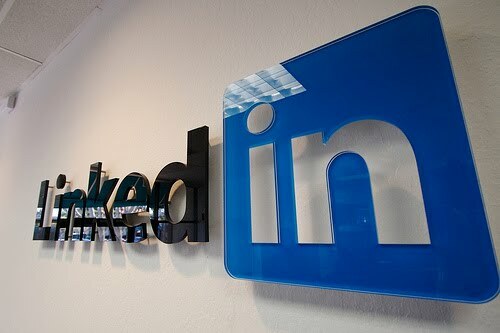 In addition to introducing companies to LinkedIn, the seasoned professional will demo LinkedInRecruiter which was developed to help employers acquire top talent through the use of social media networking. Businesses can reserve their spot by filling out a short form. Jobseekers can make themselves more visible to employers by completing their LinkedIn profile in its entirety and including 2018 recruitment statistics along with a businesslike photo for others to see. Users should also add keywords to their profile to make it easier for Google to pick up on them. Last but not least, having a recommendation from a former employer increases a person’s credibility and chances of being noticed on social networking sites.